Hi girls! I hope you've all had a great Monday! 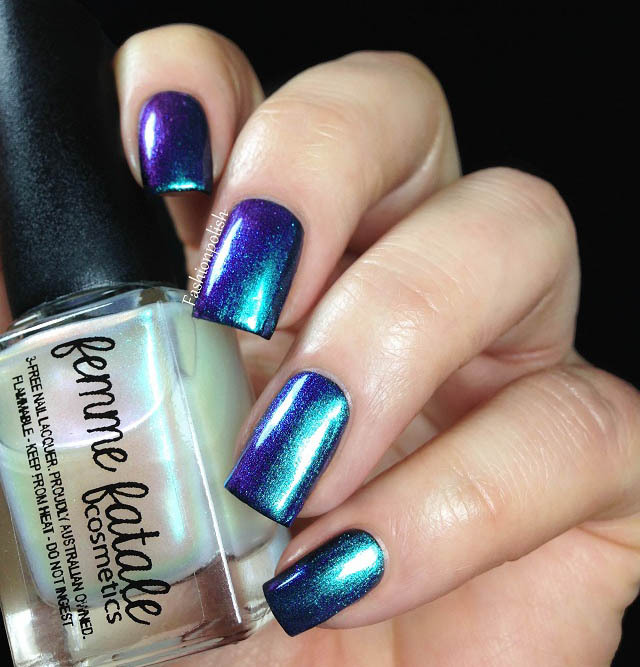 I have a lots of exciting things to share with you this week, let's start with two new (to me) indie brands : Femme Fatale & Fanchromatic Nails. 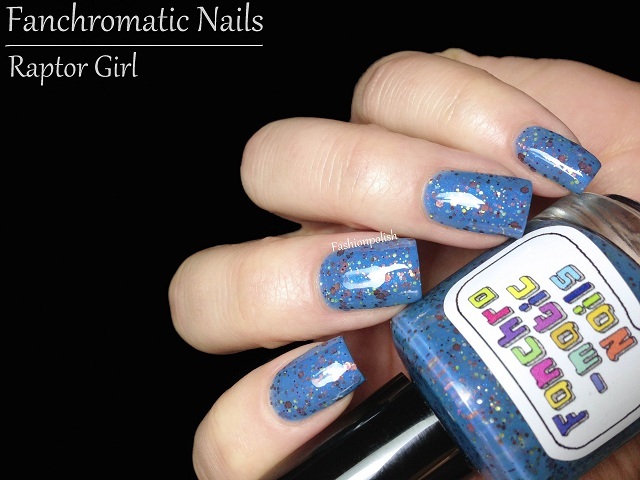 Fanchromatic Nails Raptor Girl is a periwinkle blue jelly infused with a brighter blue shimmer as well as a mix of silver, chartreuse and brown glitters. Formula couldn't be more perfect! Amazing glitter payoff and easy application, you're looking at 2 coats plus 2 coats of topcoat here. 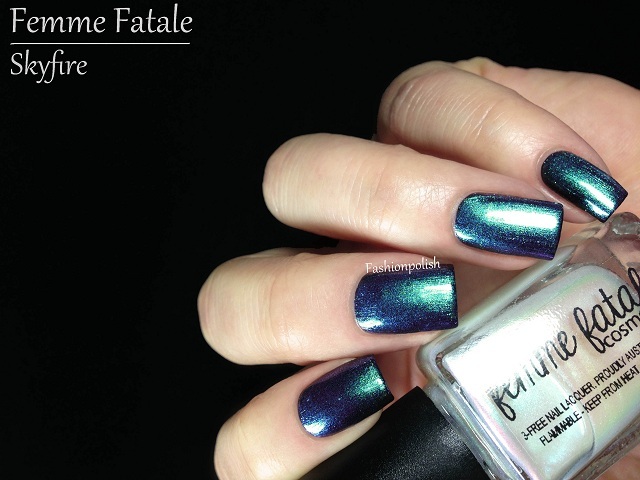 Femme Fatale Skyfire is a sheer white shimmer with a bright aqua to purple duochrome effect. 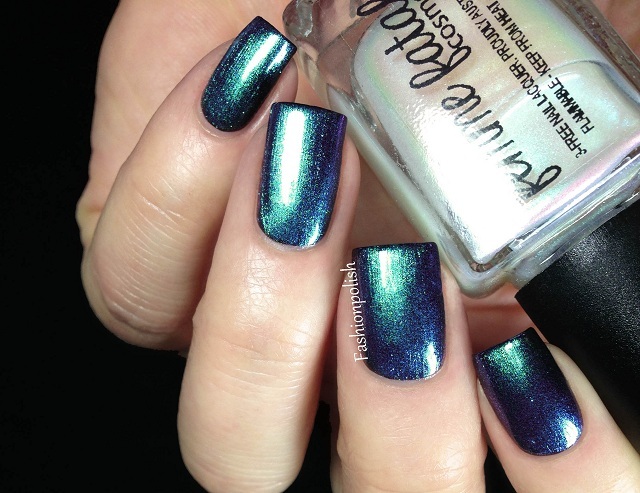 I used one single coat over black and it applied perfectly evenly, revealing a gorgeous and very visible color shift. I mean, just look at it! I couldn't resist adding another shot, under a different angle, that makes to duochrome pop even more! I got both of these beauties from Shoppe Eclecticco where they are currently in stock. Thank you all for looking and see you soon with more beauties! Ooooh, I just love Skyfire! Wonderful swatches! Skyfire is absolutely gorgoeus!! Love it. Oh my, skyfire is stunning! Oh my gosh, I love both of these!!! I like both! Very pretty!